CINCINNATI -- A piece of a retaining wall is the only thing left of the neighborhood in which Melvin Grier grew up. His childhood home, his family's church, the school he attended, the businesses where his family shopped, the playground supported by that retaining wall, even the sidewalks where he and his friends ran until the streetlights went on -- an entire community was erased from the West End to make way for industrial development in the late 1950s. 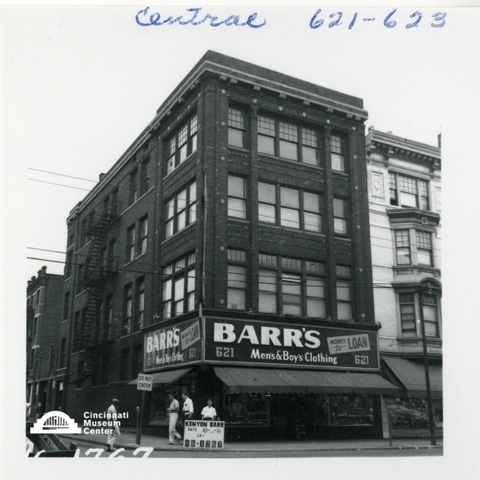 “ Finding Kenyon-Barr ,” a new exhibit of photos from the Cincinnati Museum Center archives, shines a light on this community and the people who called it home. Grier and others will share their memories during three free panel discussions at the exhibit at 1202 Linn St. in November and December. The Kenyon-Barr project, named for two main thoroughfares in the area, was a city plan that razed more than 2,600 buildings, including 7,000 housing units, to make way for the industrial area known now as Queensgate. About 26,000 people lived in the area, according to city estimates, and 97 percent of them were African American. To them, it was just the West End. City planners at the time considered the Kenyon-Barr project to be “slum clearance,” and many of the buildings destroyed did not meet code requirements. 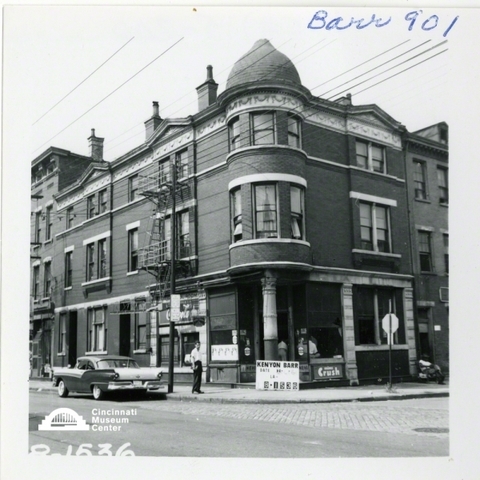 But the low-income neighborhood had a vibrant street life -- pictures in “Finding Kenyon-Barr” show sidewalks full of men, women and children coming and going from homes and businesses -- and a connected community. People looked out for others' children, Grier said. Kids played throughout the neighborhood. Neighbors took care of each other and helped out when folks were sick. They gossiped on stoops and shopped in the same neighborhood where they lived and worked. “All these things that sound like cliches now, that was our reality,” Grier said. And then it was gone. Grier and his family, along with many others, moved out around 1959. Many, including Grier, ended up in Avondale, but others scattered around the region as their community was reshaped by highways and, eventually, industrial buildings. The pictures show children mugging for the cameras of city planners. Men chat in the background. Women stand in doorways, hands on hips. Barq's Root Beer advertisements pop up again and again. There are small wood-frame houses and brick buildings that look like those being preserved now in Over-the-Rhine. “Finding Kenyon-Barr” is open to the public from noon to 4 p.m. Sunday, 3 p.m. to 7 p.m. Tuesday and 10 a.m. to 2 p.m. Friday through Jan. 2. After that, the exhibit will travel throughout the region. But first, in a series of panel discussions, Grier, Harshaw, Steinert and others will tell the stories behind the pictures of the Kenyon-Barr project. On Nov. 16 , former residents including Harshaw, who collected memories of the neighborhood in a book, “ Cincinnati's West End ,” will share their stories of growing up in the community. At a Nov. 30 discussion , Steinert and James DaMico, Cincinnati Museum Center curator of audio video collections, will consider the scope and history of the Kenyon-Barr photos. Grier and others, including urban planner Bud Haupt, will discuss the history, execution, and implications of urban renewal projects both across the U.S. and in Cincinnati during a Dec. 14 event . All the panel discussions begin at 6:30 p.m. and take place at 1202 Linn St.